Bruce Springsteen will receive a special Tony Award for his one-man show, “Springsteen On Broadway”, at the 2018 edition of the annual event in New York City this June. “Springsteen On Broadway”, which launched last fall at the city’s Walter Kerr Theatre, sees the New Jersey rocker deliver a stripped-down, solo performance while sharing details behind some of his legendary material. 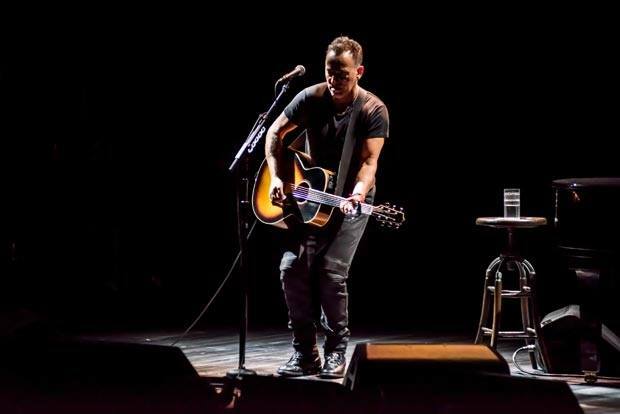 “I wanted to do some shows that were as personal and as intimate as possible,” said Springsteen last summer when he announced the original dates. “I chose Broadway for this project because it has the beautiful old theaters which seemed like the right setting for what I have in mind. In fact, with one or two exceptions, the 960 seats of the Walter Kerr Theatre is probably the smallest venue I’ve played in the last 40 years. The singer recently extended his sold-out run with 81 newly-added dates that will see the production wrap up in December after a total of 236 performances. Springsteen is one of two performers set to receive a special Tony Award: actor John Leguizamo is also being honored for his body of work and for his commitment to the theatre, bringing diverse stories and audiences to Broadway for three decades. Springsteen will release a limited-edition vinyl box set, “The Album Collection Vol. 2, 1987-1996”, on May 18.